A full time worker. A hard working mom. A dream that has come to life many times before..but this time i'm going to commit to it. My name is Caroline. I'm 33 years old currently residing in Atlanta. I grew in South Florida..not too far from where Fidddlerman resides..and the first "itch" with music was the piano. I did not leave my parents alone for years! At age five, I started accordion lessons at a studio. (ASM for you south Florida folks) From accordion I switched to keyboard and the rest was history. I played with the studio for several years and won many competitions. Duets, keyboard bands and solos. After the studio I continued privately with one of the teachers that went solo. I continued playing classical up to the caliber of Fur Elise and Moonlight Sonata No. 4. After that, being 16, I got bored and after picking up trombone in middle school and continued in high school, I pushed the piano aside. Its been some 12 years since marching band and I touch my piano now and again..only remembering Fur Elise. I rented the trombone during my school years so I never touched that instrument again. My music theory wasn't that great through the years because all I wanted to do was play. I get the "itch" every now and again..debating what should be my next instrument? I want it to be something that expresses powerfully and that can be played in almost all genres. I debated on saxophone but I kept comparing the sax and the violin and I see more passion with the violin. I think that being already a past musician and still knowing how to read music that I might have a good advantage playing a new instrument. I know my arm and fingers will hurt at first but practice makes perfect; like it did when I played piano. I look forward to learning so much and hearing from like minded people, but i'm especially looking forward to Fiddlerman! If I may make a request, as part of my posting this intro, I would like to hear you play, If I were I rich man from Fiddler on the roof. As they say with bikes, this might work with violins, "Keep the shiny side up!" Thank you. Welcome to the forum you chose well for an instrument! I think there other aspects you are probably bringing. Hi, and welcome, fellow beginner here; been performing music since 12, that was blibbity blob years ago. I am a brass player; and I can almost play the Ehru; so really excited about violin. Many good folks here; always happy to help. Hi Caroline! Welcome from Southampton, England. Nice chatting with you in the chatbox last night. I think you've made several good decisions: to keep up your interest in music, to take up the violin and to join the Fiddlerman.com forum. I know that you'll find a lot of helpful resources and people here. Considering joining in the Pachelbel Canon in D group project! If you're not ready for that yet, then the next group project! Thank you everyone for your welcomes! I gives me hope to go on this new musical endeavour. i appreciate all of you noting the advantages that I when starting a new instrument. 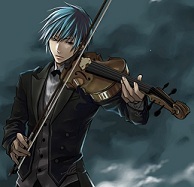 I look forward to being able to express on a violin. I also note that I now know my musical goal is....and it's amazing that I didn't think about this long ago....see, my parents are from Argentina. The country of TANGO, MILONGA, FOLKLORE...violins are used more in tango and milongas and it will truly be an honor to be able to play the songs they grew up with. Welcome to the forum, Fiddlerette. You will like it here. There are lots of helpful resources especially Fiddleman tutorial videos. Musics from Argentina are beautiful. Tango on a violin is something amazing. Looking forward to your progress postings. If I Were A Rich Man, is not a problem. I'm pretty busy now a days but I'll try to find time to whip that one out for you. To top off my free time, what little I had, we bought an 1986 31' Island Packet sailboat so that I can be even busier and try to enjoy life on the water too. Glad to have you here Caroline. Look forward to your future posts and hearing about your progress. Glad you have joined the forum. Plenty of good people, many ideas, and plenty of advice. It would be great to have another group project participant as Diane said! Hi, Caroline! You already have a lot of skills that will be extremely helpful! That is an advantage, definitely! =) Happy fiddling! Welcome Caroline, >>> There is much to be learned from this site. Having experience with other instruments is a huge plus > This Viddle thing is gonna ROCK your socks off. It is CRAZY > CRAZY is SWEETness to ones existence. Bring it!!! I'm an old sailer myself. I've spent many a relaxing hour on Sydney Harbor. I can understand what you are saying. These days I spend much of my time on the Brunswick River in my outrigged 16ft electric canoe chasing fish. Love being on the water. I've had plenty of gigs on the beach where the wind and humidity make it almost impossible to play.